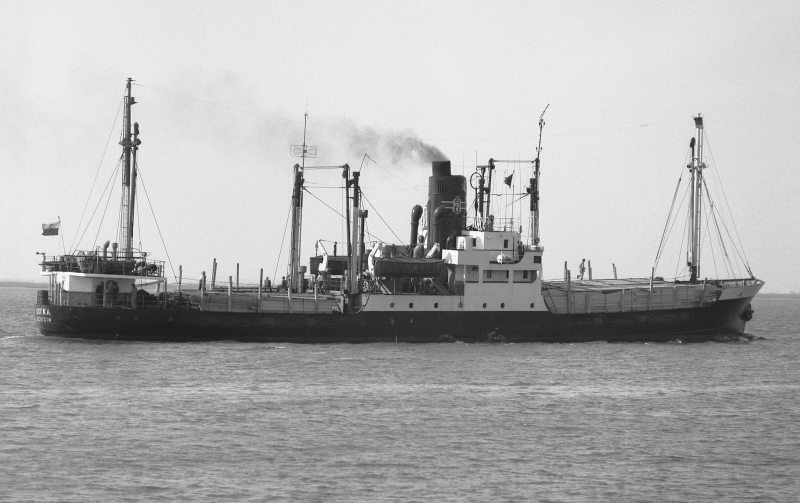 Polish Steamship Company of Szczecin’s 1938 Stettin-Grabow (then in Germany) built USTKA is seen departing from Brunsbüttel on 22.6.69 westbound. Built as RUHR for Rudolf Chr. Gribel, she was scuttled at Stettin in March 1945, raised in 1950 and returned to service in 1957 as USTKA. She finally arrived at Bilbao on 10 January 1972 for breaking.